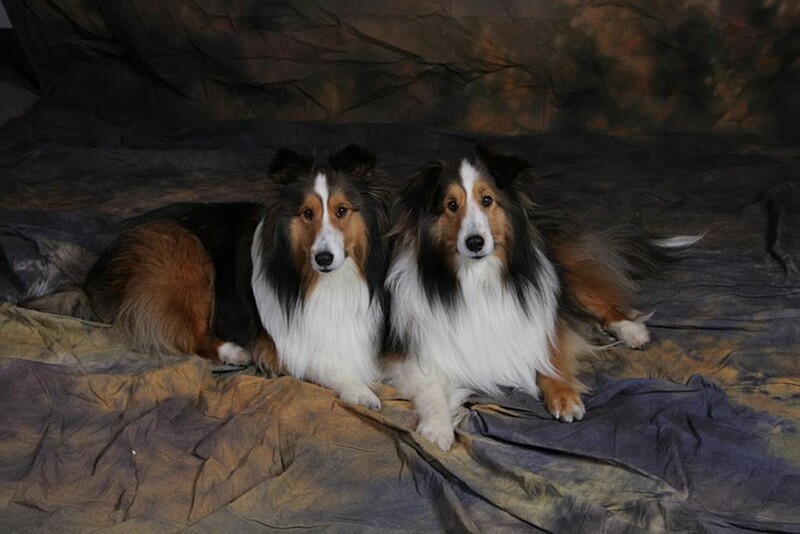 FEATURE – Therapy animals are best known for bringing affection, comfort, and happiness to people in confined living situations, whether they are in a hospital for a short stay or living in an assisted living home. Connecting with an animal, petting or cuddling with it, can bring a smile and warm memories to those who feel ill, lonely, or neglected. But therapy animals also serve in many other ways, including helping people with learning difficulties, helping people with mental and physical therapy, and bringing comfort to people in stressful situations such as those recovering from disaster. Research has shown that contact with a therapy animal helps improve a patient’s physical, mental, emotional and social state, which in turn helps them better engage and participate in the process of their treatment and recovery. Therapy animals come in all shapes and sizes, and their most important characteristic is not their species, breed, or appearance, but their temperament. They are friendly, patient, confident, gentle, and at ease with strangers. They provide unconditional acceptance and never fail to put smiles on the faces of children and adults. A therapy animal must enjoy human contact and excessive petting. And they must be comfortable staying in place, whether it is on a floor, chair, couch, bed or lap, or in their handler’s arms. Therapy animals do not need to perform, though a few simple tricks will surely delight their audiences. Therapy animal teams frequently witness improvements in their clients. Mentally, they may simply become happier, more alert, more interested. Physically, they may become more active or improve in activities in which they are limited. Occasionally, measurable improvements are witnessed as well. Hospitals and retirement homes come to mind when most people think of therapy animals. In fact, therapy animals serve in a tremendous variety of venues and circumstances, and the number of ways in which they help people is equally great and varied. While there are many different ways in which therapy animal work is conducted, a significant distinction is made for those activities in which a health professional is directly involved. The term animal-assisted activities is used to describe activities which typically involve only the handler, their animal, and the client. Examples include visits to patients in hospitals and residents in retirement homes. Animal-assisted therapy, on the other hand, is conducted by a health professional who uses the animal in providing their service to the client. Thus, a typical session would include the health professional, the client, a therapy animal and its handler. Animal-assisted therapy further differs from animal-assisted activities in that the sessions are designed to help the client achieve specific goals, such as increased mobility or improved memory. The sessions are documented by the health professional to record activity and progress. If you have a local therapy animal organization in your area, or a chapter or affiliate of a national organization, you may find it rewarding to become a member and enjoy the camaraderie and support of fellow members. A local organization will be active in your community, helping to find facilities that are seeking therapy animal team visits and placing teams in those facilities. As a member of a local organization, you will also have the opportunity to enjoy participating in such activities as training classes, evaluations, fundraising, and community events. 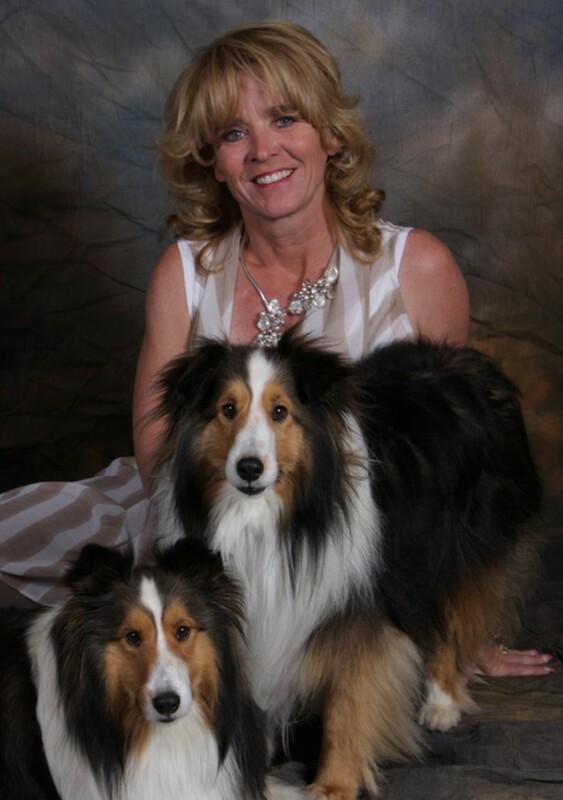 Patti Gilbert and her dogs, Brutus and Tytus, have been volunteering in Southern Utah for five years. She, as well as others in the community, can help you with training and obtaining the certifications necessary to qualify your dog as a therapy animal. Written by Peter Christensen for St. George Health & Wellness Magazine and St. George News. Peter Christensen is president of Columbia River Pet Partners and also volunteers as a licensed Pet Partners Instructor. 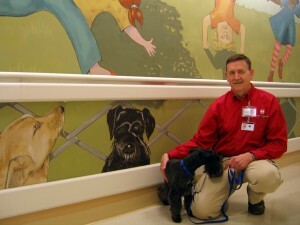 He and his dog Mukaluka Dirtypaws volunteer at his local hospital. Peter has been very instrumental in helping Patti Gilbert and Steven Turk develop a therapy dog program in Southern Utah. Contact Patti Gilbert by email or call 435-862-3933.